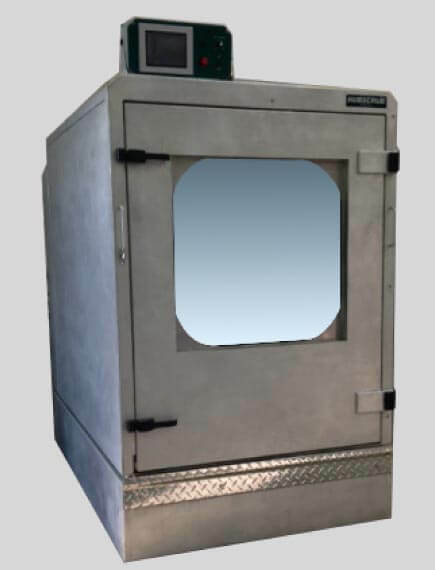 If you’re interested in learning more about the benefits of adding a HUBSCRUB unit to your business, please fill out the form below to contact us. HUBSCRUB™ products are about capability, performance and most importantly solutions that address the problems you are looking to solve. The only cleaning solution that combines chemical and ultra violet light to clean and disinfect medical equipment cost effectively. HUBSCRUB's automation improves productivity, delivers consistent quality and less dependent on scarce resources. What sets us apart is HUBSCRUB takes care of itself by doing maintenance functions automatically such as; self-cleaning chemical residue in tubing and devices, automatic restarts when filter screens are too soiled, automatic change of detergent amounts based on soiled equipment. Touchscreen technology informs the user through all operations. 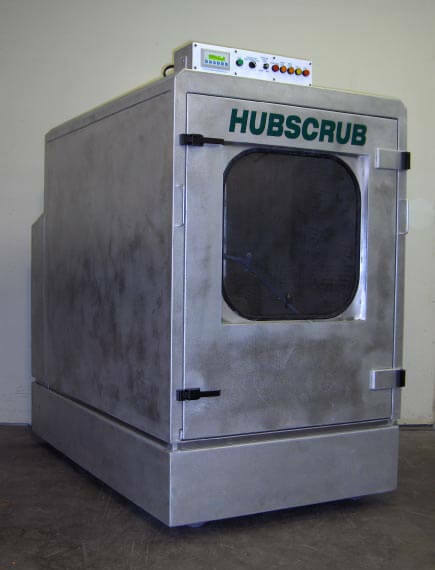 HUBSCRUB is the most comprehensive disinfection system for patient care equipment with the highest levels of protection. Technologies such as; ultra violet (UV), misting, tablets and liquids for the most demanding needs. 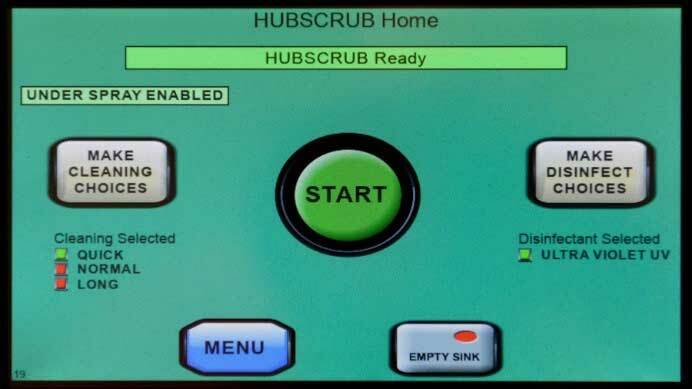 HUBSCRUB's programmable features keeps your system current for that unexpected pathogen and that new disinfectant. HUBSCRUB was built to move on day 1. 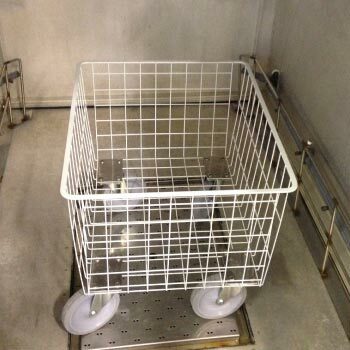 Moving HUBSCRUB to where equipment is located is the most cost effective, most productive and greatly increases frequency for cleaning and disinfection. 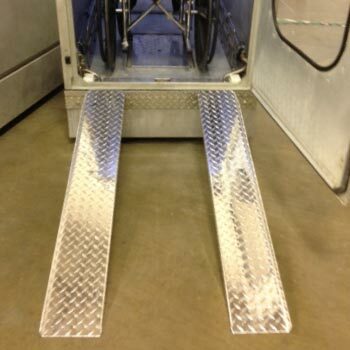 HUBSCRUB is more than a wheelchair washer. 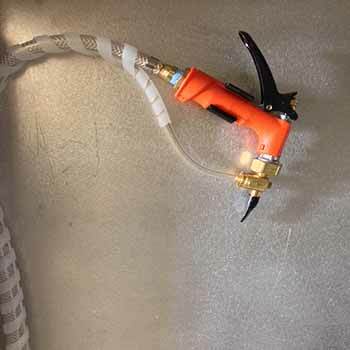 Proven design with a wrap around rotating higher pressure spray system that is very effective for all shapes of equipment. 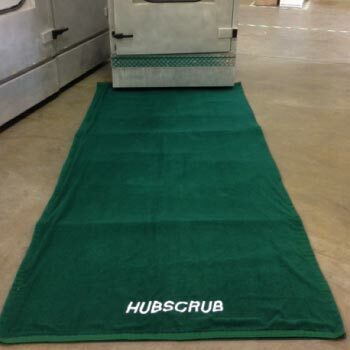 In addition, HUBSCRUB's UV technology provides the opportunity to disinfect non-washable equipment. HUBSCRUB pioneered the service business for healthcare facilities with over 20 years of experience. 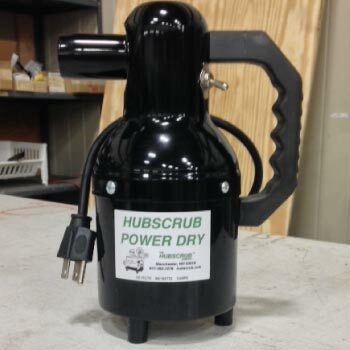 Independent companies daily bring HUBSCRUB to facilities for cleaning and disinfection of their patient care equipment. HUBSCRUB Connect is an internet connection to communicate with HUBSCRUB systems to monitor performance, diagnose issues, make correction when possible and report back to the customer. When a repair is required the onsite technician using our remote report knows where to go and what procedure is necessary. The 20/50 offers great cleaning with our proven cleaning technology. Our disinfection system supports Quaternary disinfectants that eliminates a broad list of low to medium pathogens. The 20/80 models open up significant benefits and value that are un-matched in the market. All 20/80 models are the same size and all use the same proven cleaning technology. The differences are the levels and types of disinfection that meets the requirements and environments of health care facilities. The 20/80-C and 20/80-R use a liquid disinfectant. The 20/80-UV is the Ultra-Violet model. Each model features touchscreen, advanced software technology and HUBSCRUB Connect for premium support. All 20/80 V7 models will be accessible through an internet connection via a special cloud based product. HUBSCRUB technicians will be able to monitor the system while running, diagnose issues, update software and provide reports for an onsite technician to quickly isolate a failed device and the correction that needs to be made. 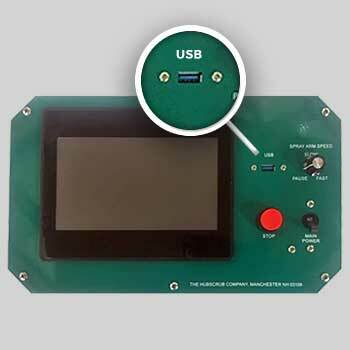 Version 7 accepts USB PDF data that will be used for how to make repairs, installing a new device, and explain the cause of any operational error; just to name a few. A company can be measured by how well they support their customer. It is support that defines the companies’ commitment to the customer. As long as the original owner uses HUBSCRUB, the HUBSCRUB Company will provide support at no charge to assist the user in identifying any problem they may be having and ways to correct that problem. We have been doing this for over 15 years. 100% warranty on parts and labor for 1 year. Extended warranties are offered. HUBSCRUB works with a growing number of professional sales organizations that represent manufactures of healthcare products. A number of locations in the US have HUBSCRUB representation. 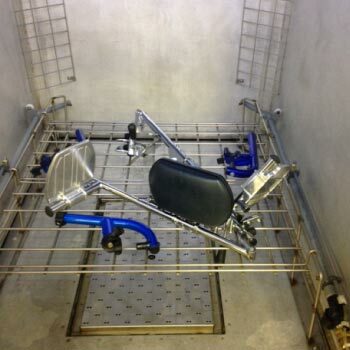 Evaluation rentals are provided to fully evaluate the performance and benefits of owning your own HUBSCRUB. Ample time is provided to integrate HUBSCRUB into your daily schedules and validate cleaning and disinfection results for different types of equipment.